Some of you may have noticed that I’ve been a little quiet on social media and my blog the past couple months. I am currently mid-way through a pretty intense gut protocol (I promise I will write A LOT more about this soon) and am taking some time off to truly heal and support my body during this process. I never imagined that I would be detoxing as severely as I am, but it certainly made rest and relaxation an absolute must. Having said that, it’s been two weeks since I returned from Expo West and I am SUPER excited to finally be bringing you my recap! 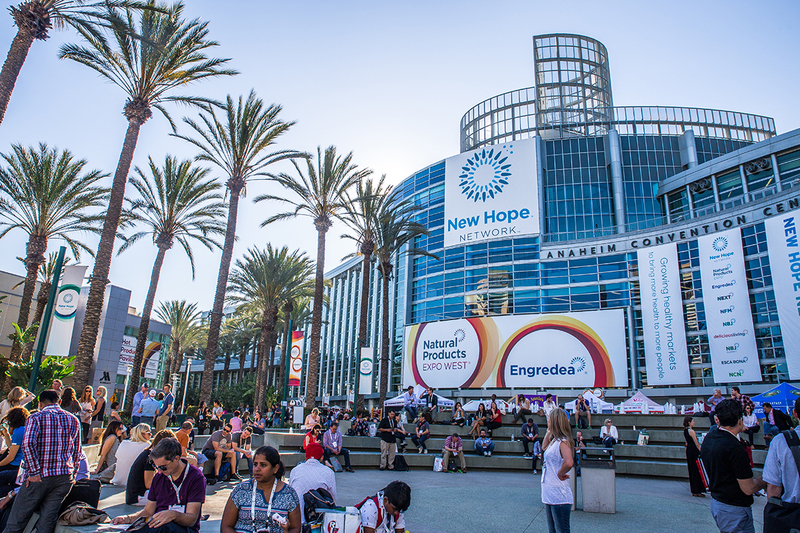 For those of you that aren’t familiar with Expo West, it is the largest natural products trade show in the country. Thousands and thousands of brands set up a booth to showcase their products and debut new and exciting innovation. This year was no different and although I was at the show for four full days, I still didn’t get to see every single thing. Either way, I saw A TON of amazing paleo-friendly brands and products that I’ve excited to share with you all. I was also super thrilled to be one of the 25 official New Hope Expo bloggers this year. If you want to see my absolute favorite top 5 picks, click here! Keep in mind, a lot of these new products aren’t in stores yet, but keep your eyes peeled because they will be rolling out soon! First up I visited Doctor D’s and tried their Water Kefirs. To be honest, I don’t think I’ve ever had a water kefir before. My favorite was the Ginger Lemon. 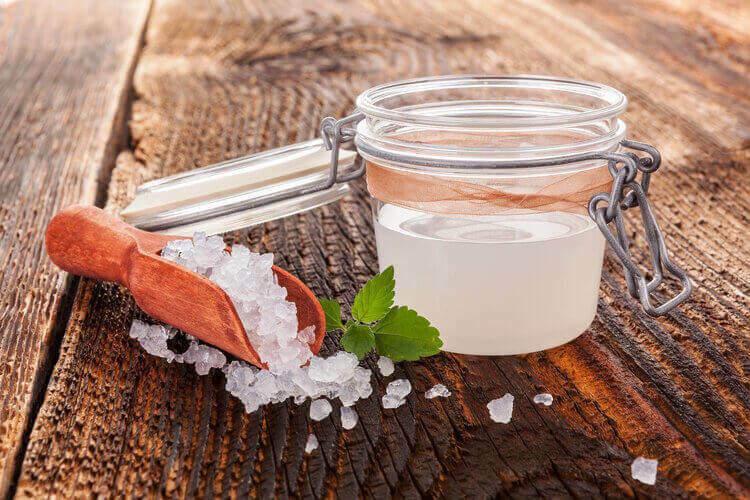 A great benefit of Water Kefir is that unlike kombucha, which is made with tea, water kefir is 100% caffeine-free. From gut-healthy water kefir to candy? Sure! Next up I visited the JJ’s Sweets booth to try some of their dairy-free caramels, Cocomels. 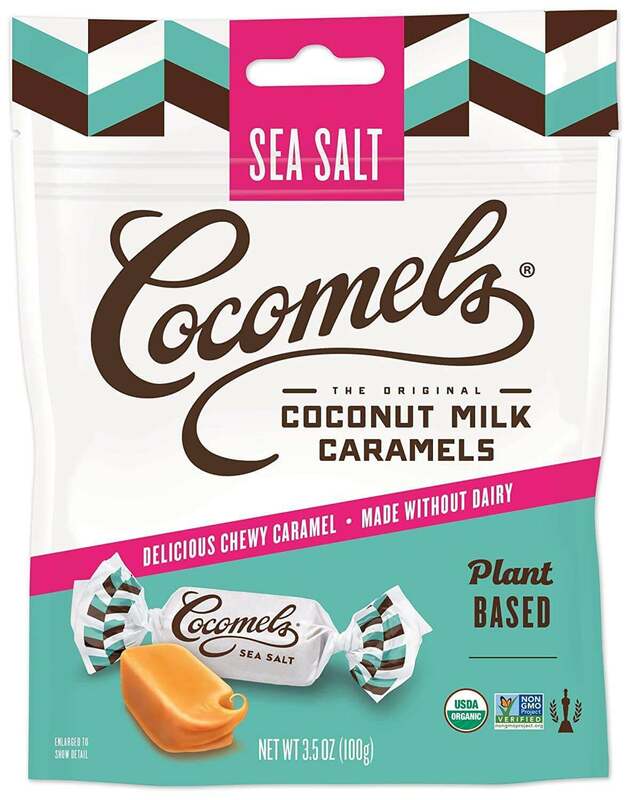 These caramels are UNREAL and are made with coconut milk. I’ve been looking for dairy-free caramels for a long time so I was super happy to finally find these. 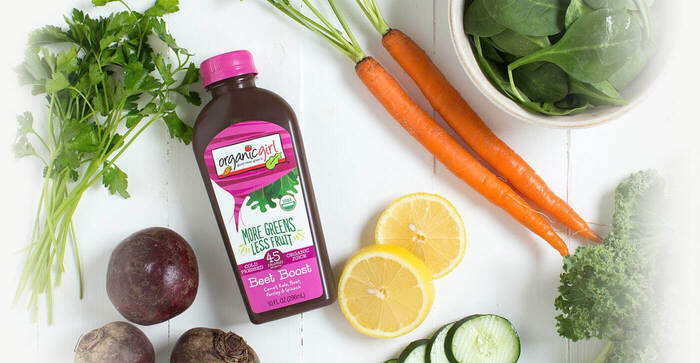 One of the products that made my top 5 was the new Bonafide Drinkable Veggies. 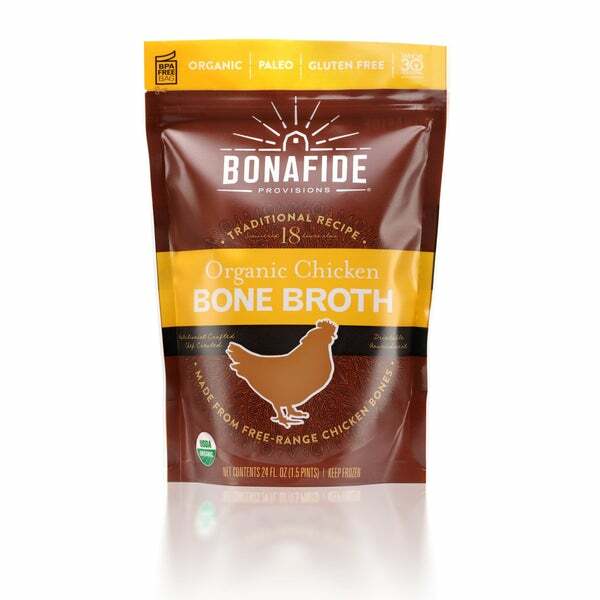 I’ve been so happy to see bone broth available at so many places in recent years, but it’s always bothered me that there wasn’t an easier ready to drink option. Sure, I could buy some frozen bone broth in the store and go home, defrost it and heat it up. But what if I wanted my daily bone broth right there on the spot? Until Bonafide’s Drinkable Veggies, this wasn’t totally possible. These new drinks (the butternut squash was my fave) combine organic vegetables, spices and bone broth. They’re sort of like cold soups, but a lot better than a lot of the cold drinkable soups I’ve tried in the past. 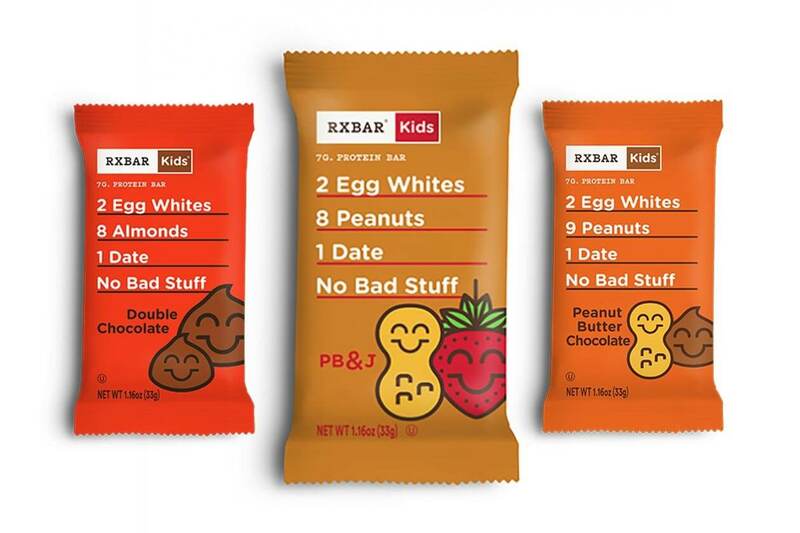 Vital Proteins seems to churn out new products like it’s their job (well, okay, maybe it is their job) and this year’s Expo debuts were no different. 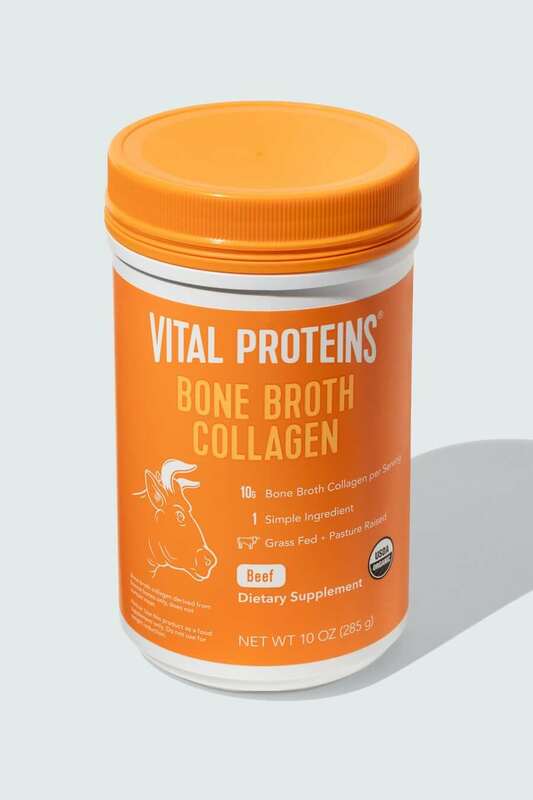 I was particularly impressed by their Bone Broth Collagen. They were serving this up outside the convention center in warm bone broth and I made sure to grab a big cup of this almost every morning. 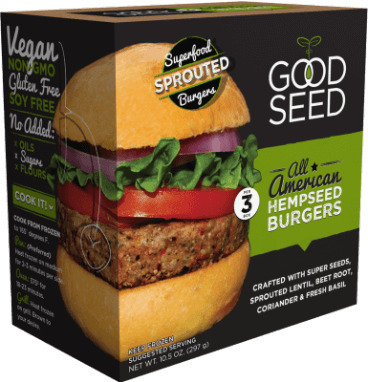 Good Seed showcased paleo-friendly veggie burgers, something I had never seen before. In fact, these burgers are actually vegan but ALSO grain-free. Don’t get me wrong, I love my high-quality meat, but it was really exciting to see that paleo-friendly veggie burgers exist, especially for any vegetarians looking to limit their soy and grain intake. I’ve said this before, but I have never been much of a bar person. Especially since doing my first Whole30, I always try to prioritize real food over bars and shakes. Having said that, sometimes it’s super convenient to grab a bar when you need some quick nourishment and protein. 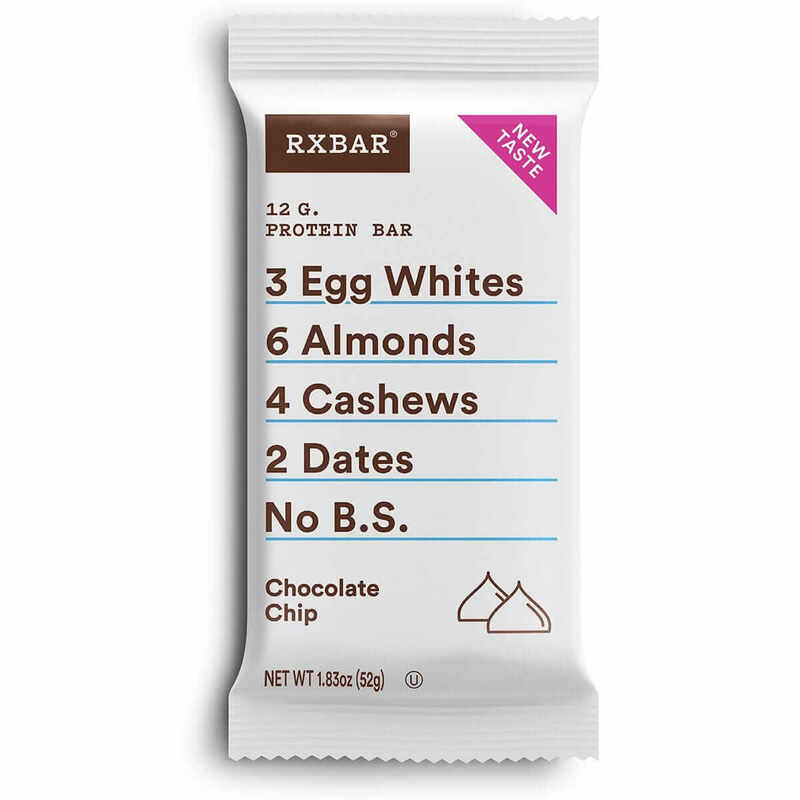 One of the few bars I actually like is RXBAR. They debuted a TON of new stuff at the show, including three new flavors and three new bars made for kids. My favorite? Their new Chocolate Chip bar. Tastes just like chocolate chip cookie dough! 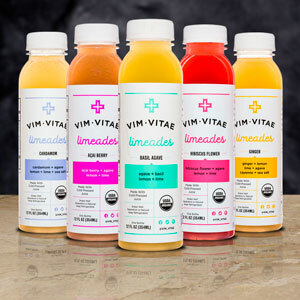 I always like seeing what’s new in the world of Organic, HPP juices and this year I discovered Vim-Vitae. Unlike the vast majority of juices you’ll find, these were a bit different. With ingredients like jicama, tamarind and chia, these juices certainly unique. I grabbed a T2 tonic to drink while I walked the floor to give me a nice midday anti-inflammatory boost with loads of turmeric. 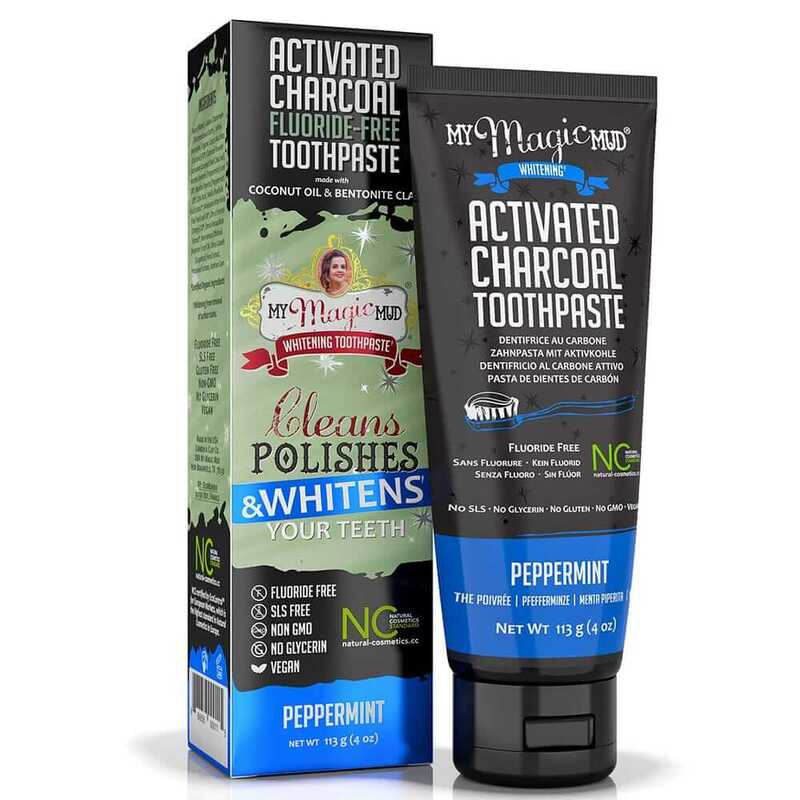 Another one of my top 5 picks was this fluoride-free charcoal toothpaste from My Magic Mud. If you recall, I highlighted My Magic Mud’s charcoal tooth powder in last year’s Expo post, but I have to be honest, the powder made a bit of a mess in my bathroom. Although I’ve seen charcoal toothpaste in the past, this is the first product I’ve seen without fluoride. I’ve been using the Peppermint sample they gave me ever since the show and truly don’t want to use any other toothpaste again. Now that I have something that’s convenient, let the natural tooth whitening begin! Fourth & Heart makes my absolute favorite ghee in a TON of delicious flavors. 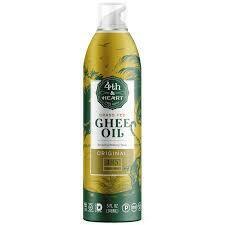 This year they debuted two super exciting new products – Ghee Oil in both a regular and spray bottle for cooking. These haven’t hit shelves yet but I am SO excited to start cooking with them when they do! 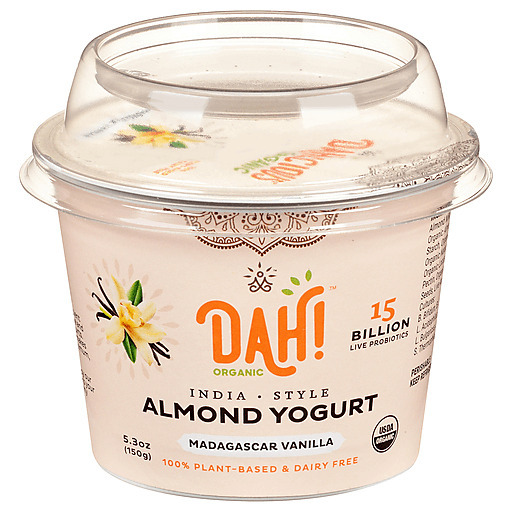 Dahlicious Lassi released two new exciting dairy-free products – almond milk yogurt and kefir. 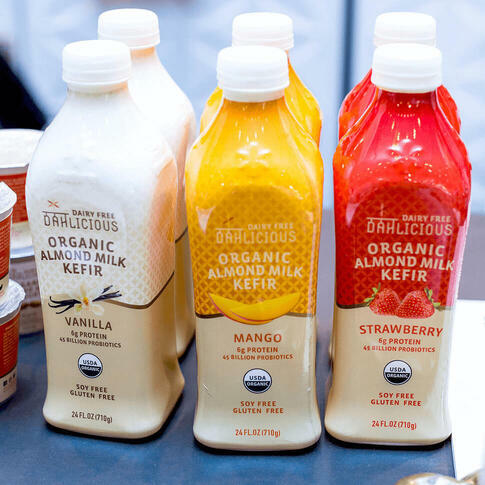 Although dairy-free yogurt is pretty easy to find these days, dairy-free kefir that isn’t made from coconut is a lot less common. Although both of these products have a bit of cane sugar, they were both super delicious and there is also an unsweetened, plain yogurt option. I’m always excited about new ways to get dairy-free probiotics so I was super excited about these. I was also happy to stop by the Hydroflask booth to see what new products they had up their sleeves. I own SO many different varieties of these insulated, stainless steel bottles it’s kind of ridiculous. From water bottles to tumblers and even insulated wine “glasses”, these guys cover all the bases. 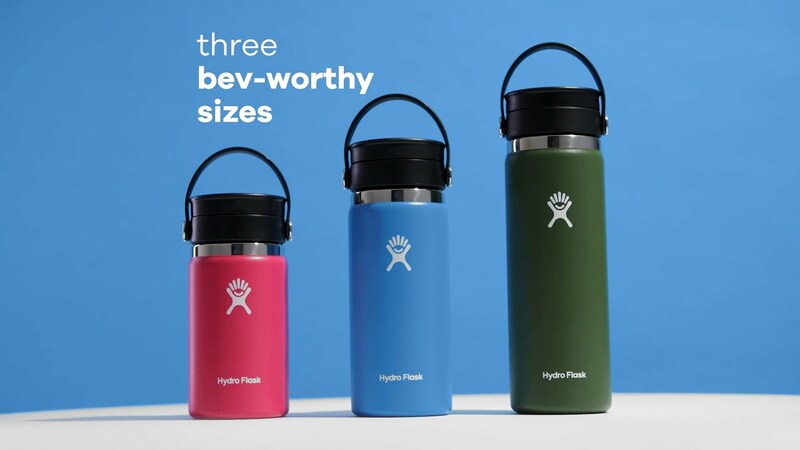 My favorite thing at the booth this year was their debut of customizable bottles – you are now able to choose your bottle type, color, top type color and rubber boot! These bottles keep these cold or warm for hours and hours… perhaps I will host a giveaway for a custom bottle in the near future! I buy Organic Girl greens ALL the time, but I was happy to stop by their booth to try some of their new Organic and HPP juices! Although I am not a huge tomato juice fan, these guys definitely nailed this HPP’d tomato juice, which I know from my time working at Suja, is definitely hard to pull off. My favorite of these new juices was the Beet Boost, but really there wasn’t one I didn’t like! 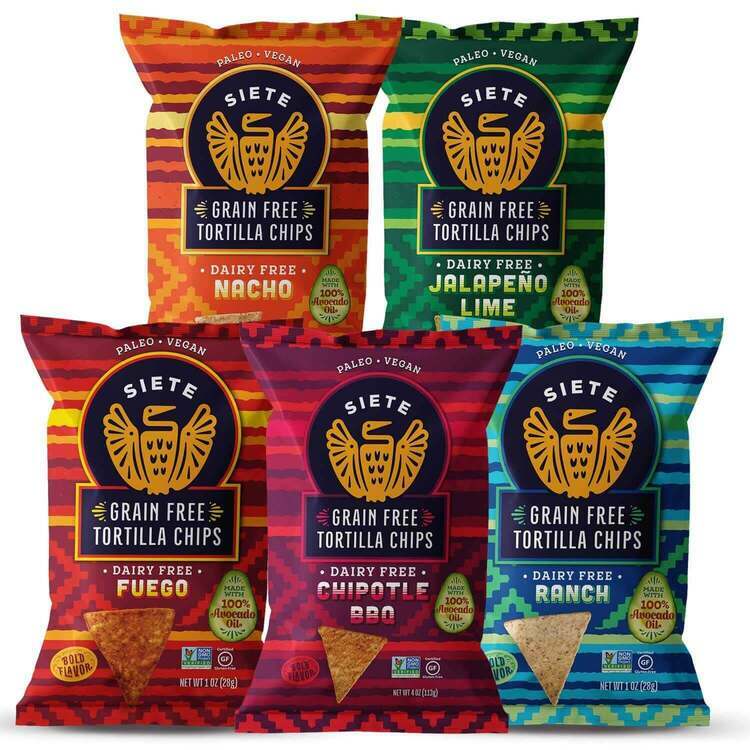 So it’s certainly not the first time you’ve heard me obsess about the Siete Foods grain-free tortilla chips, but I also had to include this amazing product in my official Top 5 of the show. These are the first grain-free tortilla chips to hit the market and I would be lying if I said I don’t go through at least a bag of these per week with some guacamole. I also made an amazing Chilaquiles recipe with them, so be sure to check that out! There are SO many kombuchas out there that it can be hard to keep track and although I’ve tried Brew Dr. maybe once or twice before, I was happy to stop by their booth and learn a bit more about what makes them different. 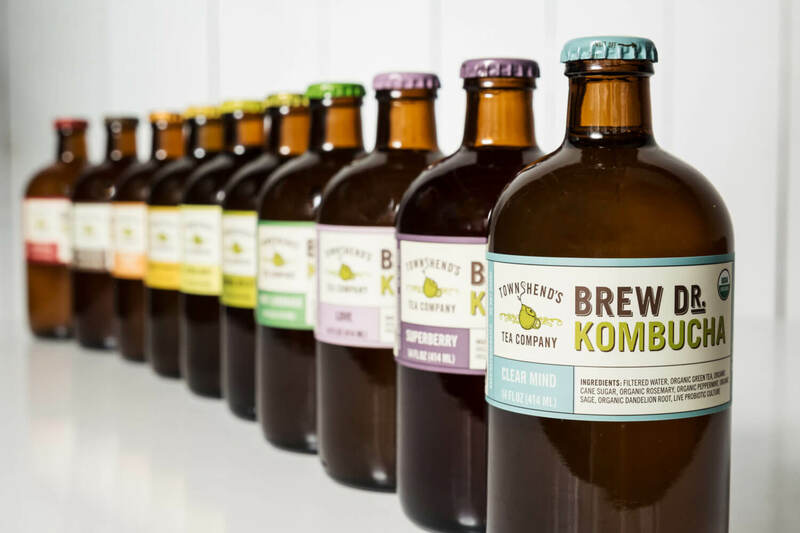 Apparently, the vast majority of kombucha companies mass-produce their kombucha and then add flavors, juices and spices at the end, whereas Brew Dr. brews individual batches of all their flavors, so that the spices seep into batch uniquely. I thought this was pretty neat! Their Vanilla Oak flavor was absolutely one of the best kombuchas I’ve ever had. For multiple reasons, I’ve been making an effort to increase my intake of magnesium recently. It’s beneficial for hormonal health, detox and stress-reduction, all of which I’ve needed in recent months. 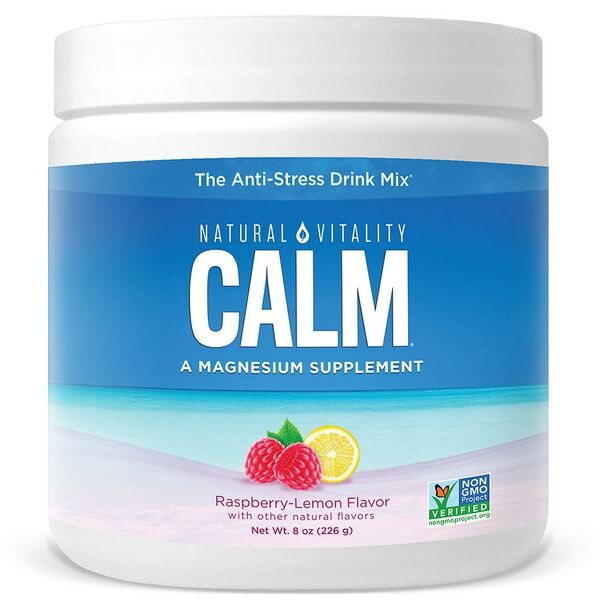 I’ve been using Natural Vitality’s raspberry lemon flavor up until now, but the watermelon flavor they are launching for the summer was pretty delicious too! One of the products I was most looking forward to trying at the show as Health-Ade’s new Reishi Chocolate. 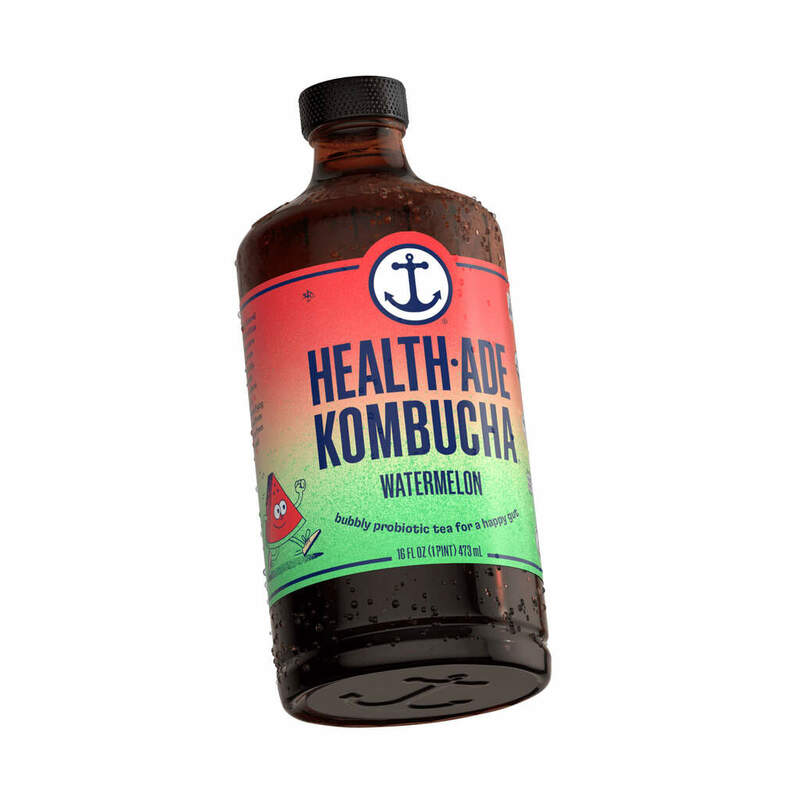 This brand has absolutely blown up recently and it’s no surprise – their kombucha is delicious. Although I’m partial to the Lemon Ginger, this new Reishi Chocolate did not disappoint. Kombucha AND chocolate in one? Yes please. Perhaps only a marketing nerd like me would get excited about new packaging, but alas, no shame! 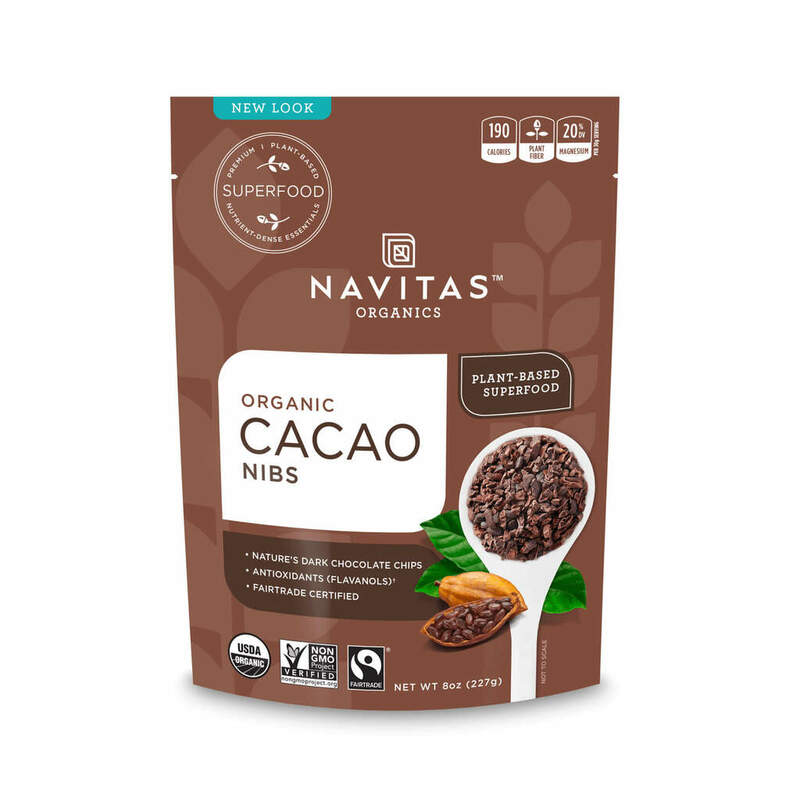 I go through Navitas products like nobodies business – especially their goji berries and cacao nibs. Loved their new look! 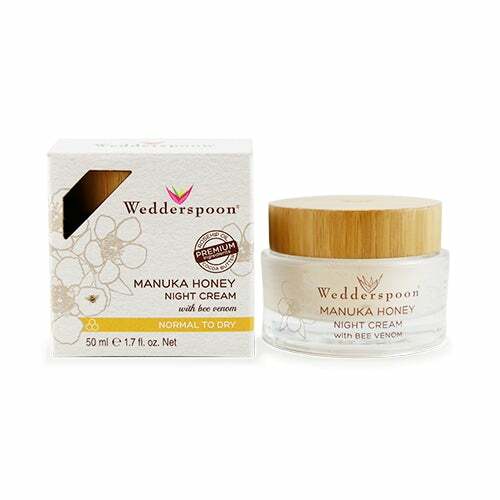 I have always been a huge fan of using Wedderspoon Manuka Honey topically to address acne and acne scarring, so I have been really looking forward to Wedderspoon’s new line of skincare products! So far I’ve tried their night cream, which is super nourishing and am excited to try the rest of the line as well. 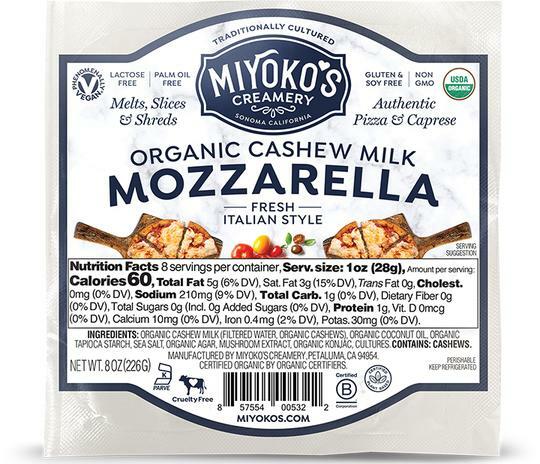 Miyoko’s was something I discovered at last year’s Expo East and have been completely obsessed ever since. Dairy-free cheese without any gross ingredients is extremely hard to find, especially when it’s not something you’ve made at home. Fortunately, Miyoko’s is mostly cashew based and contains just a few simple ingredients like coconut oil, tapioca starch and sea salt. They debuted a new Smoked Mozz at the show that was completely delicious. It’s always a blast to stop by the Amazing Grass booth, especially this year as they launched some super exciting superfood elixirs. 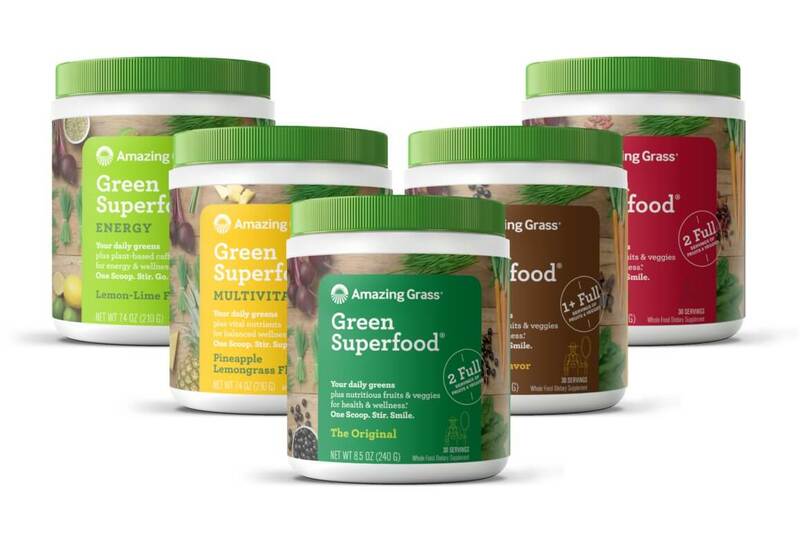 With superfood greens and adaptogens, Amazing Grass is now offering a Beauty, Brain and Belly Elixir. I love adding their powders to my smoothies and juices and I am excited to start incorporating these new products in as well. Since I avoid butter, finding products made with ghee is always a treat. 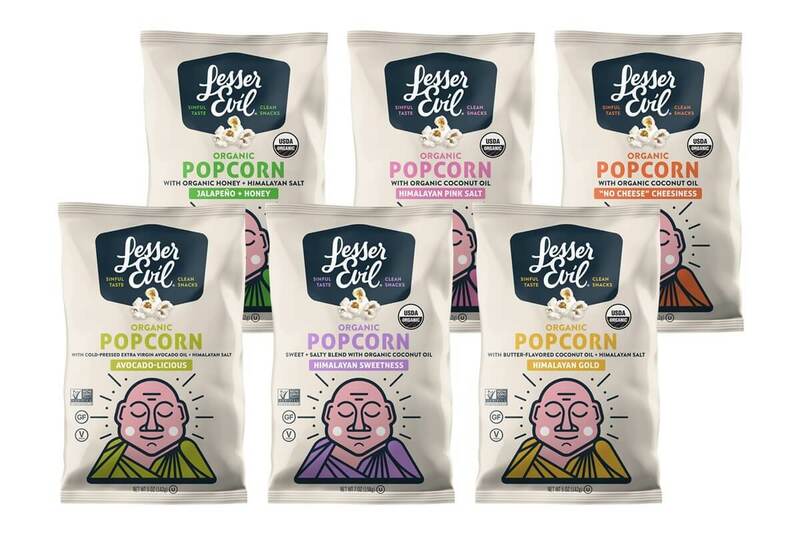 This Ghee Popcorn from Lesser Evil’s Buddha Bowl Foods stopped me dead in my tracks. Although popcorn isn’t exactly paleo, I find having a bit of corn here and there doesn’t hurt, especially when it’s organic and minimally processed. Looking forward to sneaking a bag or two of this into the movies in the near future! 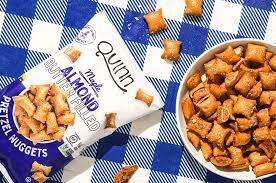 Another not super paleo favorite are these gluten-free Quinn Pretzels. These are definitely the first pretzels I’ve found that are gluten-free but without any junky ingredients, plus they taste delicious. I love both the honey and sea salt. The other piece of good news is that they are made with sustainably sourced palm oil, which is a must when consuming products with palm oil. I discovered this amazing sugar-free chocolate for the first time at ShiftCon this past year. Made with monk fruit, Lakanto’s products are sweet, but without the sugar. Think stevia minus the bitter aftertaste that so many people don’t like. 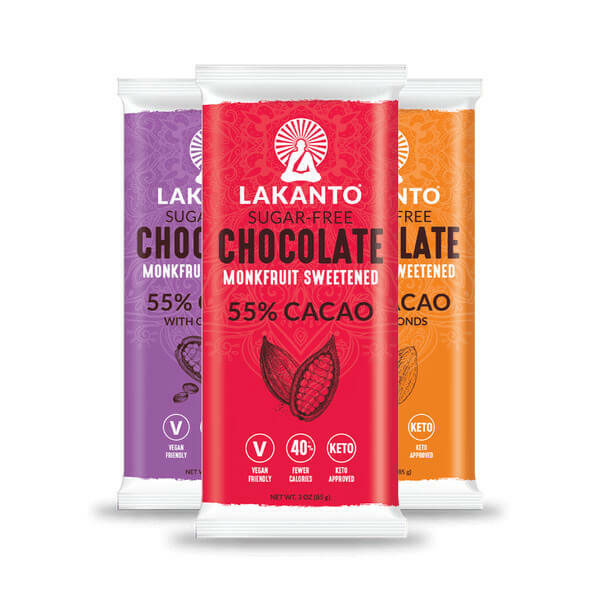 Lakanto’s powdered monk fruit sweetener subs 1:1 for regular sugar in any recipe and their chocolate is amazing… PLUS it’s dairy-free which I love. 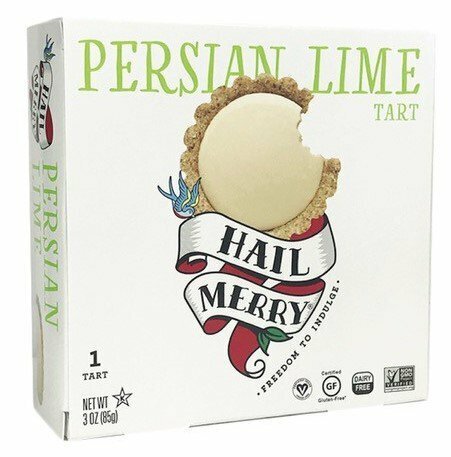 One of my favorite paleo-friendly and raw brands, Hail Merry, released these adorable two-packs of their tarts. Before these were available in large single sizes or minis, but these two-pack cups are super convenient. Kind of like peanut butter cups, but way better. Keep in mind these need to be kept cold, so you’ll find them in the refrigerator section of your local store! It’s hard to believe that I discovered GoLive around 6 years ago… but I have truly been a fan for that long. 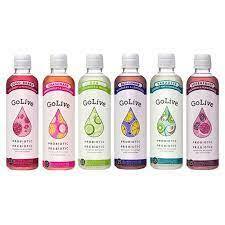 GoLive makes amazing probiotic and prebiotic products and this year they showcased some pretty awesome new packaging. The unique part about GoLive’s drinks is that you actually release the probiotics (which are held in the cap) into the liquid just prior to drinking. This ensures that the bacteria is still alive when you consume it. I love bringing their packets with me when I travel and their Spa flavor is my absolute favorite. Simple Mills always brings the goods… last year they debuted their coconut oil-based frosting and this year they showcased their new cookies. 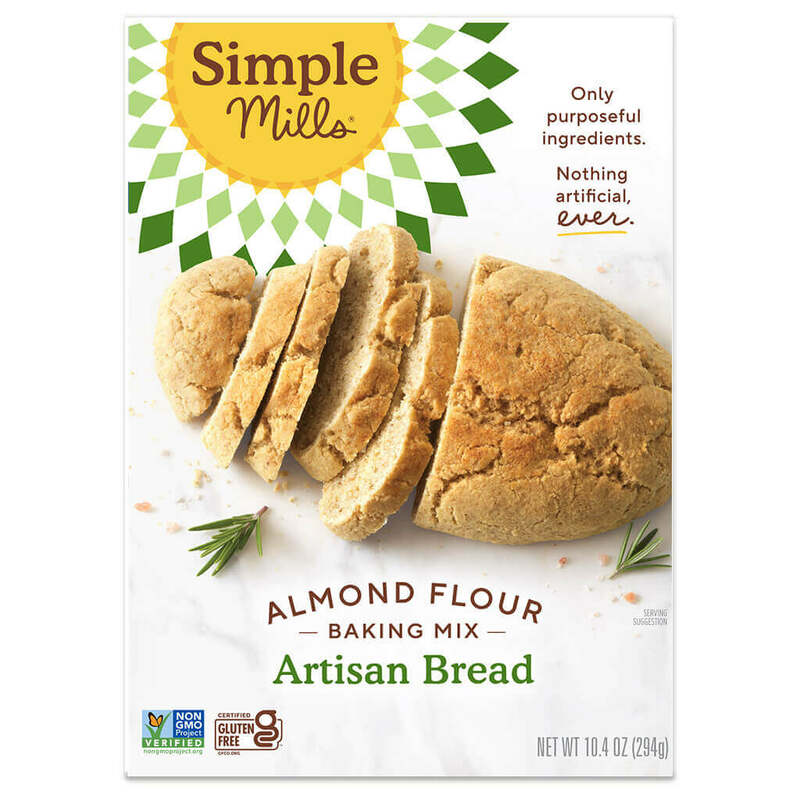 Not only are Simple Mills products gluten-free, but they’re paleo friendly as well as most are made with almond flour, arrowroot, coconut sugar, etc. Excited to see these cookies hit the shelves, especially the chocolate chip! 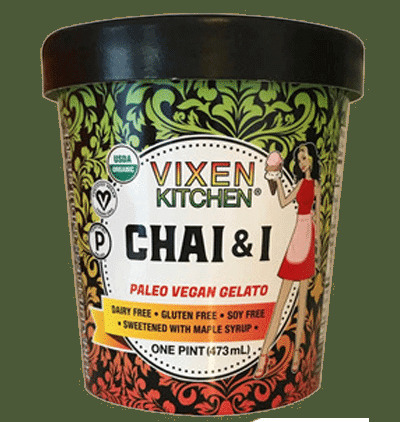 Another one of my Top 5 products from the show were these Vixen Kitchen paleo & vegan gelatos. Although they’re only available in Northern California right now, I am anxiously awaiting their debut in SoCal. These gelato are made with only a few simple ingredients and with a base of cashew. It’s really hard to pick a favorite, but the Chai & I was particularly amazing. 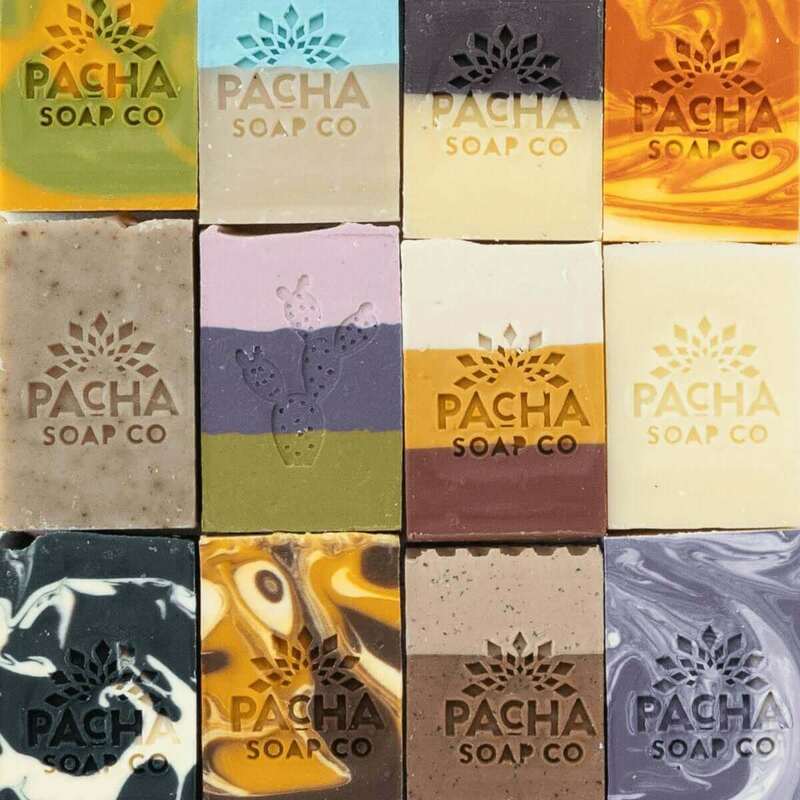 Last but certainly not least, I stopped by the Pacha Soap booth which always has an unbelievably gorgeous display of soap and bath products. As a part of the gut-healing protocol I’m on right now, I’ve been taking a lot of epsom salt baths. However, that can get a little boring so I was exciting to use their Sand Bar bath salts, complete with charcoal to draw out toxins and impurities from the skin! All in all it was another great show and I look forward to attending Expo East this September! Yes it was too quick but it was great meeting you as well!! Loved this post, so many great products to learn about in one spot–thank you for sharing. So looking forward to a lot of the new products! Disclaimer: My site contains affiliate links, which means that I may earn a small commission on purchases made through my site. This is at no extra cost to you & keeps Anya's Eats up and running. Thank you for your support!